Spring Knitcircus Release This Wednesday! Here’s a sneak preview of the cover — this is of the Firey Shawl by Bianca Boonstra. So pretty! I’ll be running some giveaways both here on the blog and on Ravelry for pattern collections and, I hope, at least one year-long subscription. Details later this week. The issue goes live Wednesday. 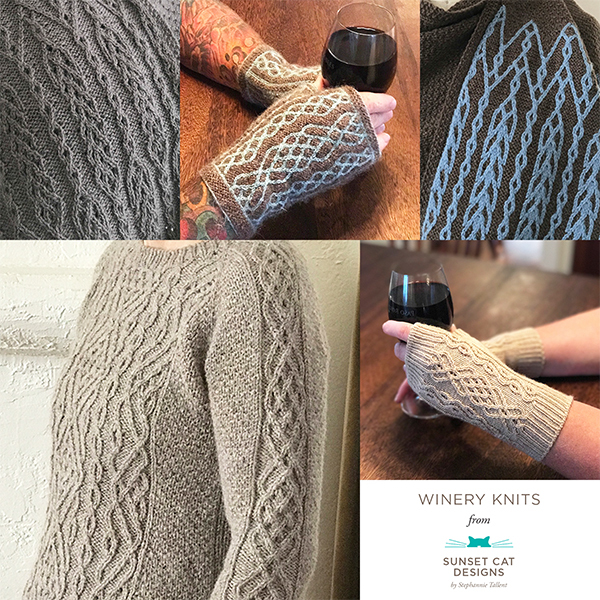 I have one design in it, the fingerless mitts that were the first design following the mitten structure I used in the Mittens! ebook/booklet. Fun, quick, and only 1 skein of SHELTER.